Eating the same old afternoon snacks can get, well, old. We eat a lot of fruit, veggies, cheese, hummus and crackers in the afternoon. I like to mix it up sometimes though and make something delicious that the whole family loves. Energy bars are a great choice for our busy afternoons because we can make them ahead of time and they do give you a burst of energy. We also love nuts and fruit, so combining our favorite nuts and our favorite dried fruits with the natural sweetness of dates makes the perfect energy bar we all enjoy. I store them in the fridge for freshness. So if they get packed in a lunch or a to-go bag, I typically toss an ice pack in there so they stay nice, fresh and firm. I like to prepare them ahead of time and store them in the fridge. That way I can just pull them out after school – they make a delicious afternoon snack. If you’re looking for a yummy beverage to pair with your Cashew Blueberry Date Energy Bars, the Silk Nutchello Toasted Coconut & Cashew dairy free beverage makes the perfect pairing. It’s best served over ice – yum! This nut-based beverage is made with real ingredients that are smooth and satisfying. Silk Nutchello contains no artificial colors or flavors. It is free of dairy, soy, lactose, gluten, casein and carrageenan. It’s even Verified by the Non-GMO Project’s product verification program! The Toasted Coconut & Cashew flavor we used has 80 calories per serving and 9 grams of sugar per serving. So you don’t have to feel bad about adding a glass to your afternoon pick-me-up snack! 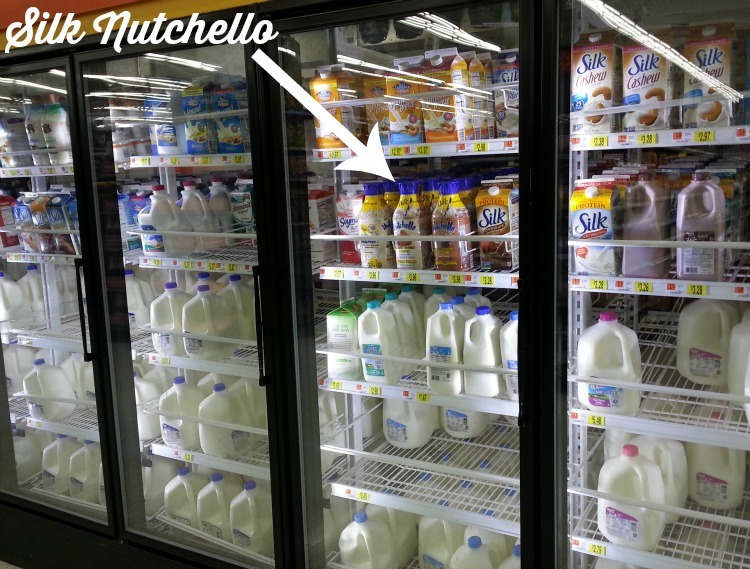 You can find all 3 Silk Nutchello varieties at Walmart in the Dairy and Dairy-Free Beverage section. Choose your favorite flavor to pair with your yummy energy bars! 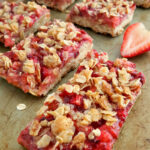 Energy bars make a great afternoon snack, especially on busy days. These Blueberry Cashew Energy Bars are delcious, easy to make and healthy too! Place the blueberries, cashews and dates into your food processor or high powered blender and mix or blend until they form a paste. I like to leave some texture in the paste, but you can customize the texture to your liking. Add the chia seeds and coconut flakes and pulse until they are combined in. Scoop the paste out onto a parchment paper lined cookie sheet or cutting board. Flatten and shape the energy bar paste into a square and cover with more parchment paper or plastic wrap. Refrigerate for at least 2 hours or until the paste is cold and firm. Remove from the refrigerator and cut into 16 small pieces (or 8 larger pieces). Place a small piece of parchment paper in between each bar and store in an airtight container in the refrigerator. Your Blueberry Cashew Date Energy Bars will be best enjoyed within a week and taste delicious paired with a glass of Silk Nutchello Toasted Coconut & Cashew Beverage served over ice! Would your family enjoy these Blueberry Cashew Date Energy Bars with a cold glass of Silk Nutchello as an afternoon snack? They are amazing! My husband was already asking me to make more before the first batch was gone! Those look wonderful, pinning it! Yummy! I’ve been searching for a good larabar replacement and these look fantastic! We’re starting up a new link party, You Link it, We Make it, and hope you’ll pin this one up this week. The party closes midnight on Saturday, but if you miss us this week, I hope you’ll check us out at knockitoffkim.com next Wednesday! These sound delicious and a great pick me up snack! Thank you for sharing at Merry Monday!